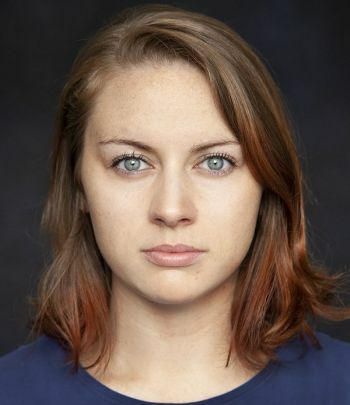 Myrn hails from the West of Ireland and has trained professionally in both stage & screen acting. She is a graduate of Bow Street Screen Acting Academy, Dublin (2017-2018) & holds a BA in Drama and English from NUI Galway (2010-2014). She was most recently awarded a scholarship to study at the New York Conservatory for Dramatic Arts (2018). Though primarily an actress, Myrn is also a Drama facilitator, writer, dancer and producer. She's trained with Irish companies such as Blue Raincoat Theatre Company, Galway International Arts Festival & Macnas Ireland, as well as with international companies such as Roy Hart Theatre (France) & The Actor's Movement Studio (New York). Recent credits include the Dublin Fringe Festival production of ‘Polar Night’ (2017), which she also co-produced. She's currently developing a web series that she'll also produce & feature in. Myrn has conversational Irish and Spanish, and is accomplished in singing, swimming and cycling. She works as a freelance artist & producer based between Dublin and London.